AUSTER ATLANTIC. 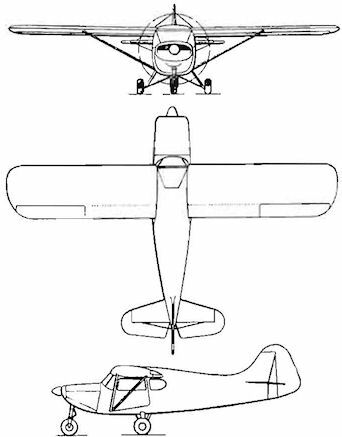 Three-view drawing shows the latest from the Auster stables. Powered by a Continental E185-10 engine of 205 h.p. it will appear in two versions, the Winchester and the luxury Windsor de luxe.